A few years ago now it was fashionable to predict the end of the world as we knew it as a bright, happy possible future. This rosy future was to be filled with joyous preferences not dire needs This End of The World As We Know it or TEOTWAWKI was something to write home about. You see back in the ’70s some futurists predicted that we would only have to work three days a week to earn as much as we needed in order to live fulfilling, joyous abundant lives. Don’t ask me who those people were. Some academics might be able to tell you who they were but now their voices have mysteriously vanished because, let’s face it, the world isn’t like that. Not for most people anyway. When you think about it . . . idealistic predictions of the good life and plenty for the masses were actually based on some sound logic. After all the world had been through the industrial revolution and all kinds of new technologies were emerging that have given us the ABILITY to live abundant lives of prosperity without having to work too hard. The electronic revolution was certainly in full swing by the mid-seventies. Automated processes and digital systems were starting to prove themselves. The dream COULD have been fulfilled, and it may yet be. One day. It just hasn’t happened yet. So what has happened? The world we are now living in seems to be an extreme right wing version of George Orwell’s 1984, and pardon me if I have missed something in my rush to survive another week in the rat race. I say seems to be because if the world really was an extreme right wing version of Orwell’s bleak dystopia then we would have deep cause for desperate misery. As things things stand our misery is only medium deep and only mildly desperate. If the world situation was a report card it might read: could do much better. But here’s the really bad news. What we now have is undoubtedly a form of de-facto fascism. It might not be totalitarian fascism, and yet fascism it most certainly is. All you need to have going on for fascism to be running rampant is the merging of state and corporate power. The situation has indeed become frighteningly real. The response has been an inevitable slew of scary warnings such as the recent films The Corporation and Michael Moore’s Capitalism a Love Story. It’s not just about Socialism anymore. Forget about Karl Marx as a reference point for the current crop of indecent capitalist propositions. One gets the feeling that if the founding fathers of the good old USA of A were alive today they would be protesting loud and long about the erosion of truth, liberty, justice and freedoms by the forces of the ruling elites. The corruption of governments and governance at nearly every level by the rude greed of what appears to be all branches of the business community should be cause for alarm for people of conscience and indeed it is. Part of the problem is that the glittering and glamorous prizes so eagerly sought by the materialistic bogans of the planet appear to have blinded many to the startling truth about our current fairly dire situation. We are busy riding an avalanche to catastrophe while changing the channel. We seem to shuffle . . .from the celebrity chef to the love lives of Shane and Liz. The glimmer of hope is that every now and then something as meaningful as the cruel mistreatment of Australian livestock in Indonesia makes it to the front page. There is hope. So what can we do while waiting for the inevitable catastrophes to come as they most surely and undoubtedly will. And mark my words, this is not alarmist, just as plain as the bleedin’ nose on yer face mate. Now . . . Dr Quantum is going to cross the floor with this one. I say Eat, Drink and be Merry for tomorrow we diet. Yes it’s true. If the Greek austerity measures looked bad just wait. Here’s my prediction for the future. One day we are all going to be asked to make sacrifices due to the stupidity and greed of the Monsantos, the BHP Billitons, The Goldman Sachs’ the British Petroleums and all the rest. So go ahead and feel bad for five minutes and then go back to watching Master Chef, because I am busy watching my latest favourite video – included below for your mindless entertainment. In defence of good clean dirty fun Dr Quantum offers the following startling revelations. Dancing is actually essentially FREE. You don’t have to fork out ridiculous amounts of money and get drunk on overpriced booze or take expensive drugs. When you move to the music your body automatically releases feel-good chemicals that are completely natural and dare I say it . . .good for you. 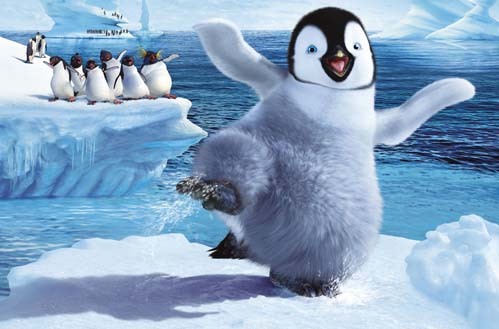 Go you happy feet. Roll on disaster. If we’re all going to hell in a handbasket, we might as well turn up the music. i do very much like this blog entry. soon the people will be together in hope for a changing world. Eat, Drink and be Merry for tomorrow we diet. explains your point very well: fruitful vibes. i loooove to dance.